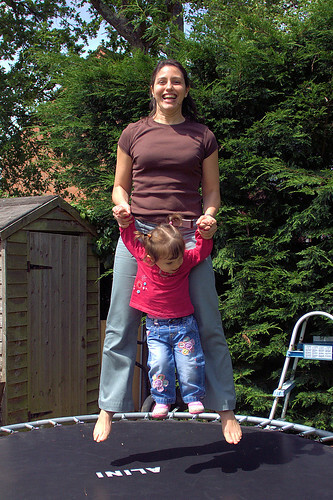 ^Here's Lu and Amélie on the trampoline. Amélie was in fits of laughter, but she does love trampolines. 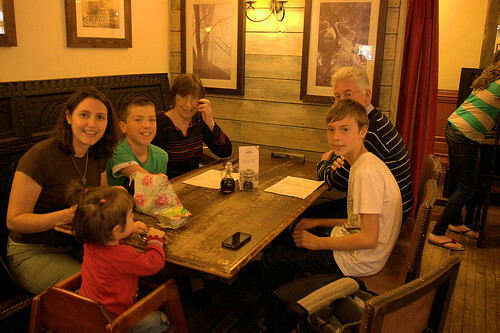 ^A photo at the pub, a few minutes before Dad collapsed. He looks a bit odd in the photo. Lovely photos but your poor Dad. He must've felt horrendous. I'm glad the paramedics were able to help him.